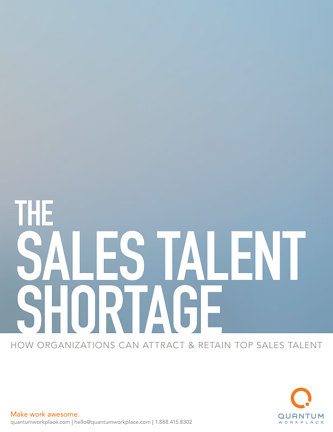 A significant talent shortage has made it difficult for companies to find and hire the best salespeople. Because of this, salespeople are a population with a high risk of turnover, quickly leaving one company for another to capture a bigger signing bonus, better commissions, or more sophisticated training. If your organization wants to be successful, you must not only find and recruit the right talent, but create an environment that nurtures, retains, and engages salespeople.